Hello there, I'm new to this forum and pretty new at BMW e21s. I originally bought this as a motorway hack and it is currently standard, but I've changed my mind and I now have plans for it! 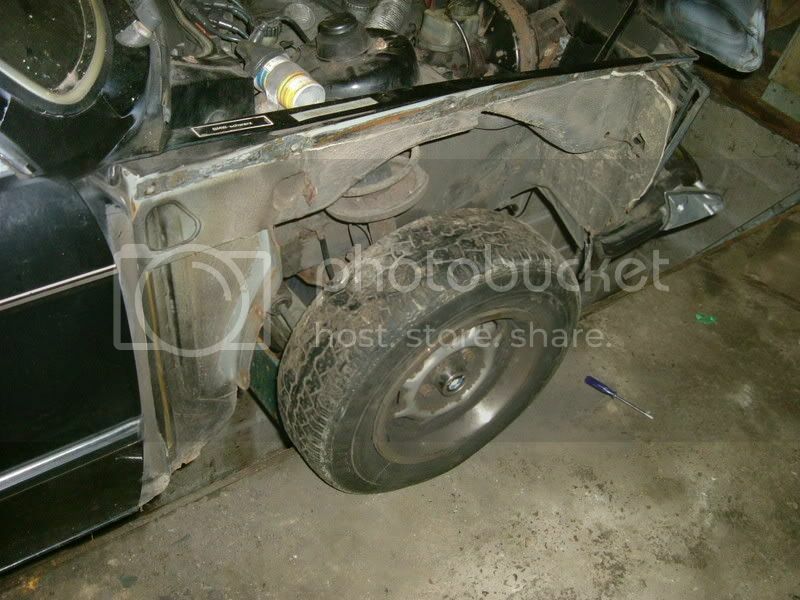 The body work is currently getting sorted, including fixing both driver's side wheel arches (front arch rust hole, rear arch dent from a previous owner), sorting bonnet corners along with various scratches etc. I plan to get some alloys asap with a set of 13" basketweaves, I was considering 15" but that means the hassle of correct offset and wheel spacers unless I shell out for the correct offset alloys which are not easy to find in the UK. Plus as a younger driver, insurance companies love modifications so they can extort even more from me so thats another reason I think I'll go for 13". 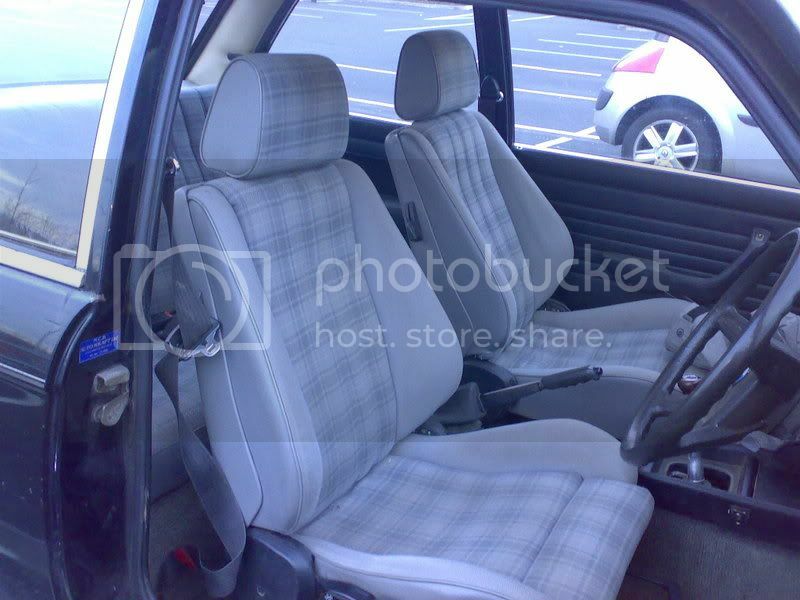 The main thing I need is driver and passenger seats which have worn through badly and are currently used with seat covers, I don't even care if they aren't recaros- I just want seats! 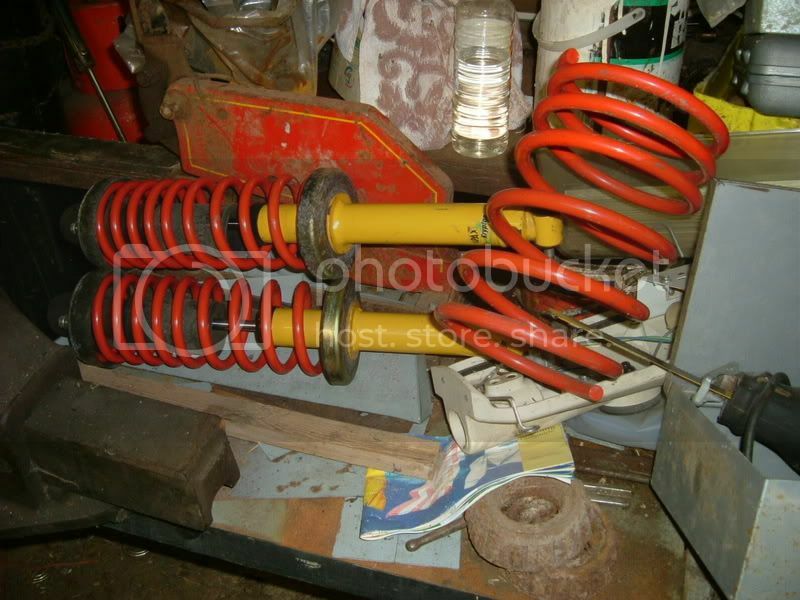 The suspension is set to be lowered 4cm and stiffened as the stock suspension is in a bad way, and I might swap the bushes out at the same time. I'm also looking to swap out the sound system as I like a fairly decent system in my cars. At the moment I have a spare amp and head unit which I plan to hook up to new 6x4s in the front, and run two new 6x4s in the rear shelf. I may later on put a sub in the boot using my amp on that. Any advice on any better configuration would be greatly appreciated. Any advice/comments gladly recieved, cheers. Last edited by rob0r on Thu Feb 16, 2012 4:18 pm, edited 8 times in total. 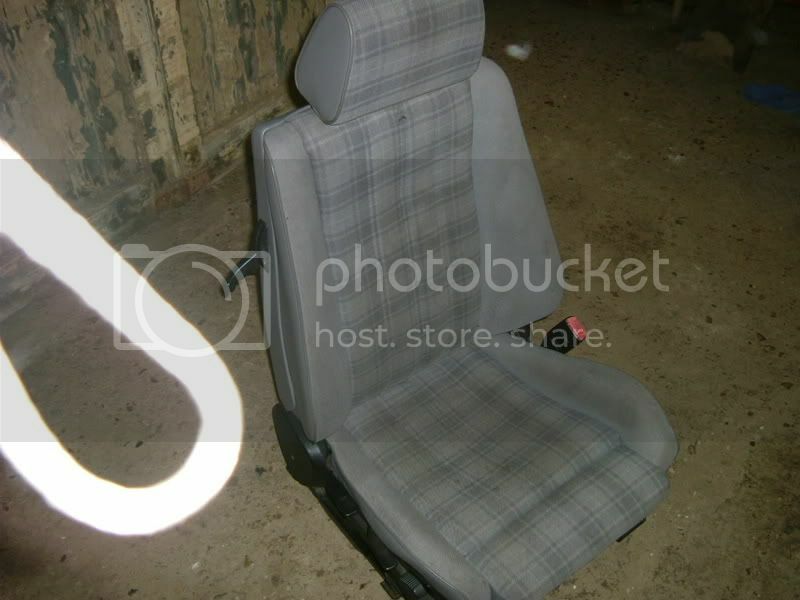 Its a pity that you aren't here in Aus as at the moment i have a full set of seats sitting in my back yard, inside a E21 that i am currently parting. What colour interior does yours have? The interior at the moment is cream/yellow but I'm not too fussy if the front seats are too different from the rear. If someone had a full set I'd probably consider it though! A nice little example there. e21s look good in black too. Congratulations. My advice is its best to stay with the original colour scheme. These old interiors look so cool! RE wheels, a set of turbines always suits an e21 (like Jeroen's green mascot car). Original is always good, but I can see what you mean with those old wheels (though they are really period). After a lot of hard work and seized bolts, the front wing came off... I found lots of debris behind here and it doesn't actually look that bad from here. 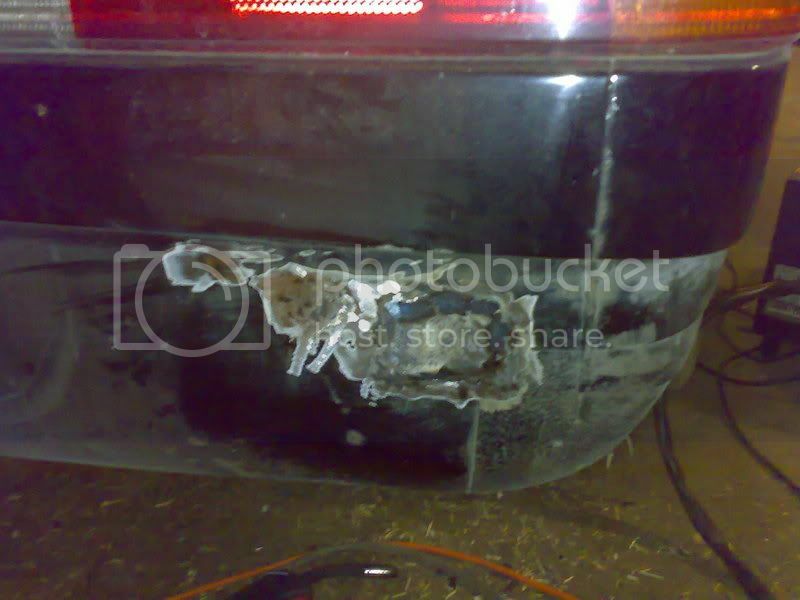 However this is what's left for the wing to attach to the valance and the bumper! Not so good. So lots of work needed there! 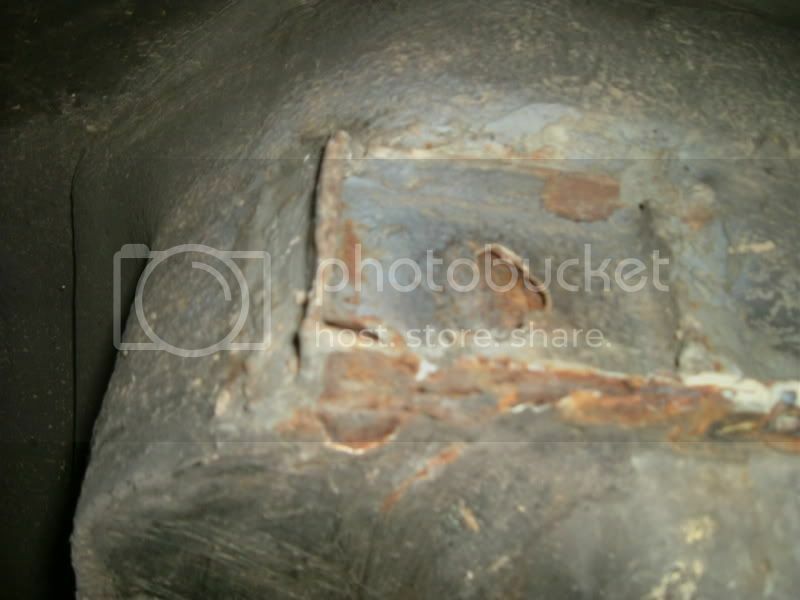 Another shot of the rusty underside, underneath drivers door. And I checked the spacing I need for my wheels (not the purist's choice, but I'm going for the low and wide look). If anyone's interested, these are 13x7 et20, 10mm each wheel just clips the rod, so 15mm is what I'm going for. And some time soon these should be fitted in, once again not the purist's choice but there really is nothing else around and they are very comfy! 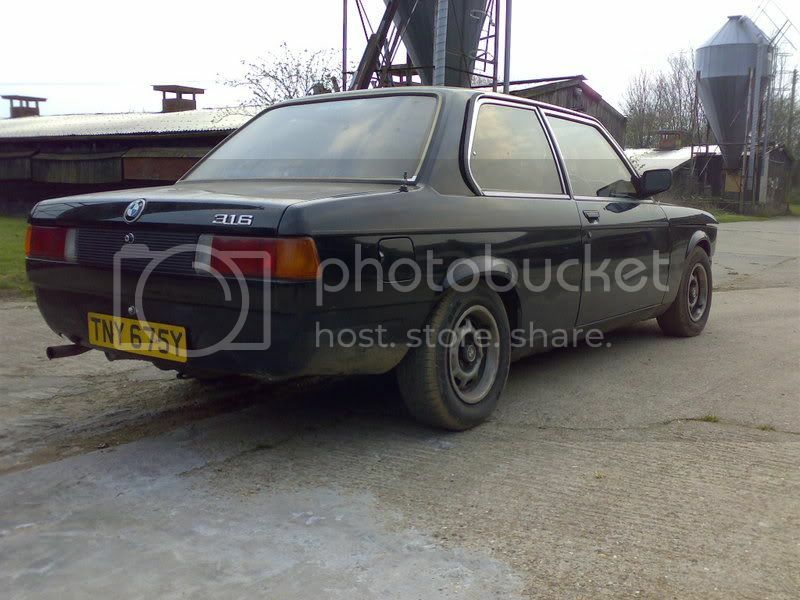 I've not dealt with e21s before, is it normal and acceptable for them to be as rusty as mine? I'm going to carry on as planned and put some pictures up when I'm done! However, having said that, you seem to know what you are doing and have done this before; so if you know you are able to cut that kind of rust out successfully, then that is great! And I'm also keen to know how you go and what the results are. 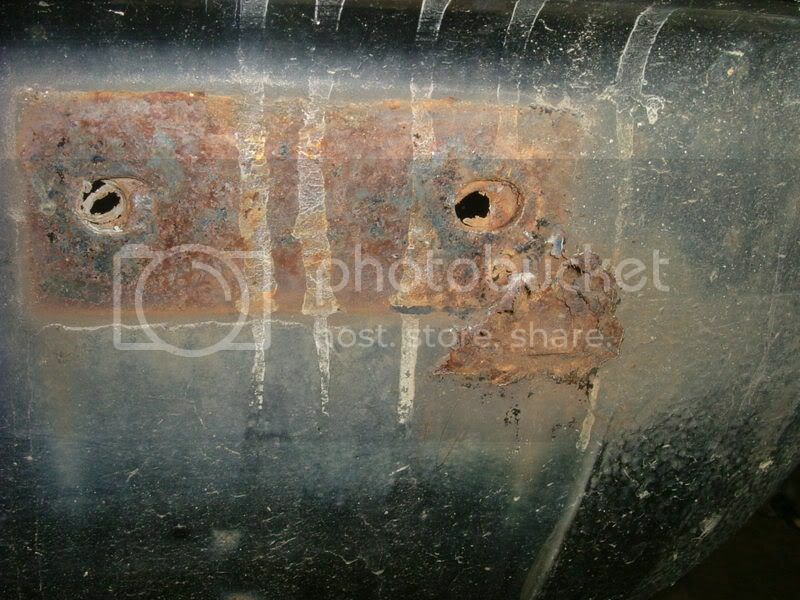 I dont think that type of rust is uncommon if the car has been left outdoors for a long period; its just that it would have alarmed me personally. Bit good luck with it and I hope you get it out successfully. Other than that, the car seems pretty nifty! The jackoing points are the badest parts of the car that goes quick, i literally cau mine out and replaced with new panels and where the jacking points are now its just smooth, so to jack my car up now i use a bottle jack (small).. enough to lift car up to change wheel.. i NEVER use the original jack anymore, as to me i get paranoid if i was to jack the car up from the sill that it would cave in, .... even thous i have new sills fitted a few months ago. 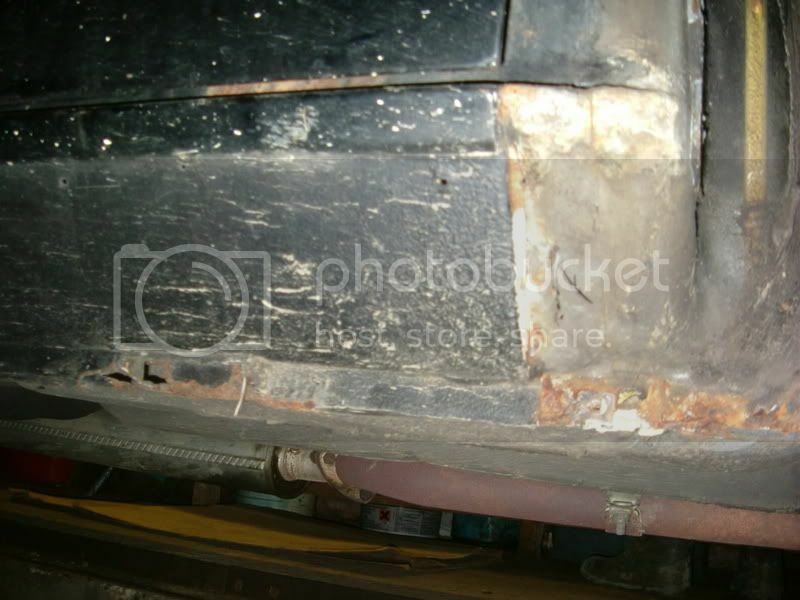 saying that i need to pump a the sills and any other crevis in the car with a tonn of WAXOYL..
Yeah I was getting about down with the rust yesterday, but structurally apart from what's shown, it's fine. At the end of the day I picked the car up for £225 so I'm not expecting a minter! If it does get really bad, I'll just buy a better example and swap my bits onto there. I haven't done anything of the sort so far and this is all completely new to me but I'm a fast learner and my Dad who's helping has workshop experience. It's getting welded professionally as I can't weld (yet) and Dad's rusty. It's a shame it is so rusty as it drives really well! 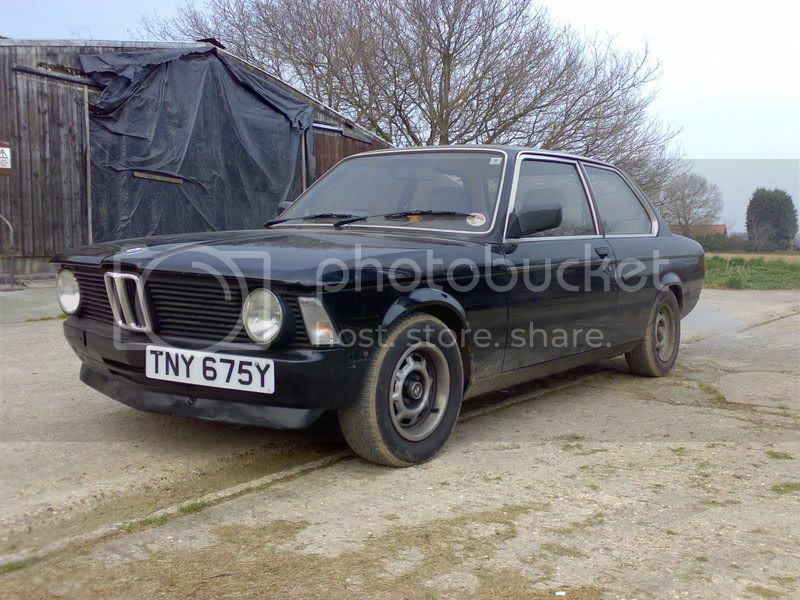 That's a brilliant idea about the hammerite Alpina, cheers for that! Hi, like your black e21, I have a black e21 too. I also need new wings, how hard is it to fit new ones? Do you have to weld them on? or do they bolt on? 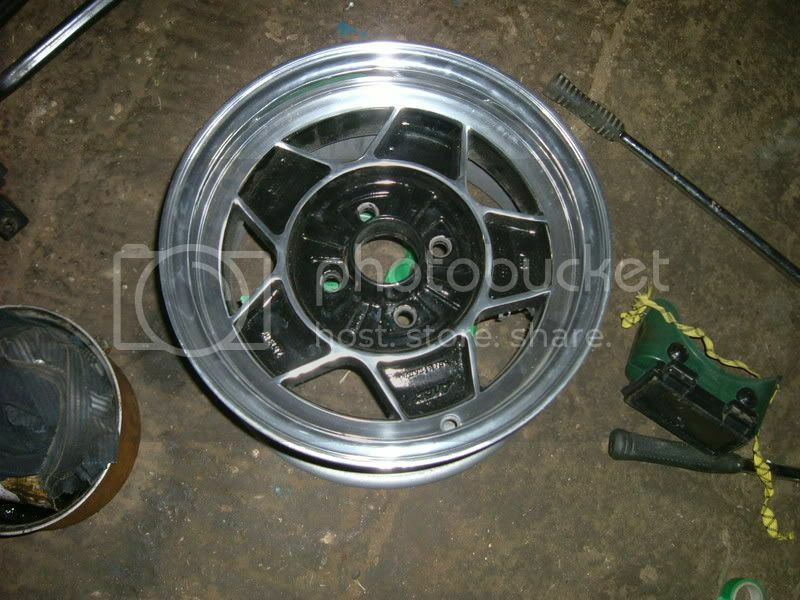 I originally wanted those wheels, they will look niiiice on a black e21. I got these instead tho. They were cheap. Hello there! 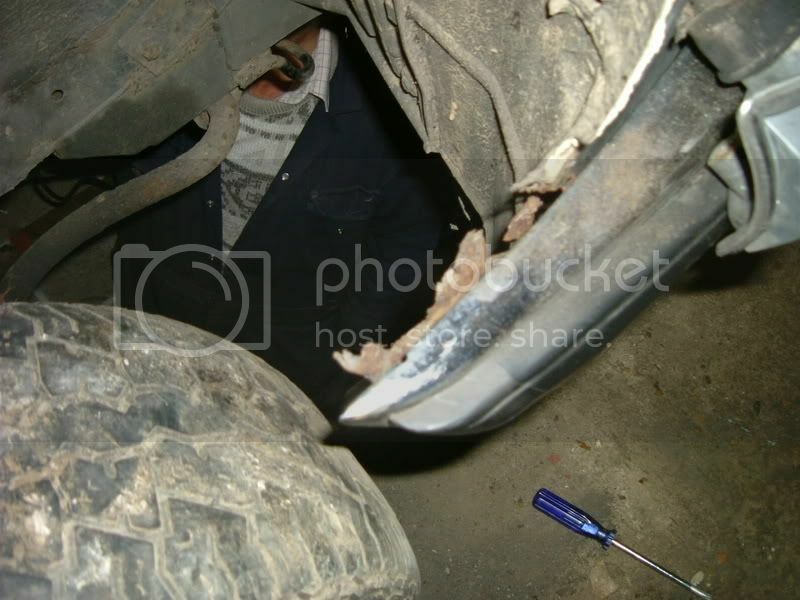 The wing isn't too difficult to remove, pretty much all 10mm bolts, 1 maybe 2 8mm bolts, and a bolt behind the bumper. You have to remove the mud/splash guard in the inner wing too. After I removed the bolts, the wing was still on tight as after 24 years or so of being attached, along with protective paint and glue. I just tapped it off with a rubber mallet and all was good! No welding required, but I'm not sure what I'm going to do about the missing metal on the front valence... probably look for a new one. I like your wheels a lot! What are they? 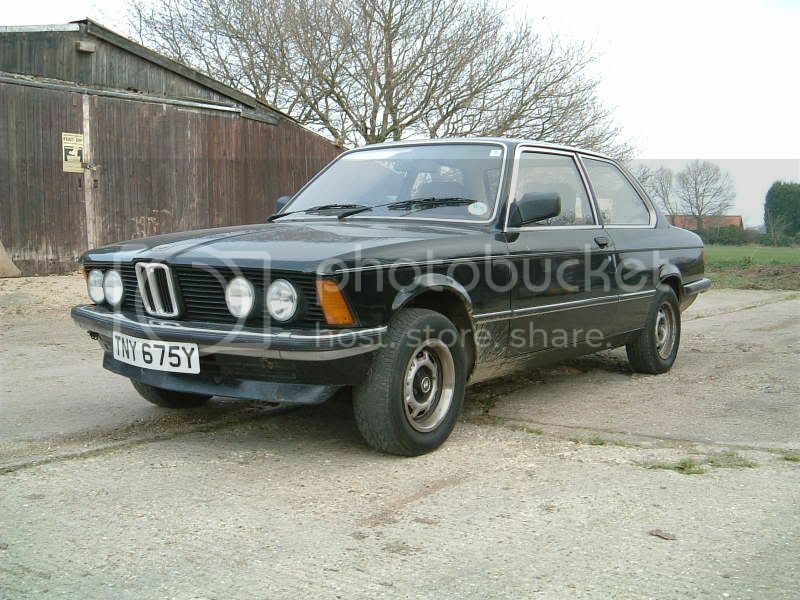 Have seen that pic before and thought they were very interesting and nice e21 too! I hope my wheels will look good, they've just been refurbed, polished and painted professionally so they are all sparkling! I have the ATS Classic rims too, I just need new tires now. They're 8x13. Don't know what the ET is tho, but I would never in my life believe that they are legal to use on the car . I was thinking about ordering Gottis too, and if I do I'll order them in 10x13. About the rust, I would consider it pretty normal. 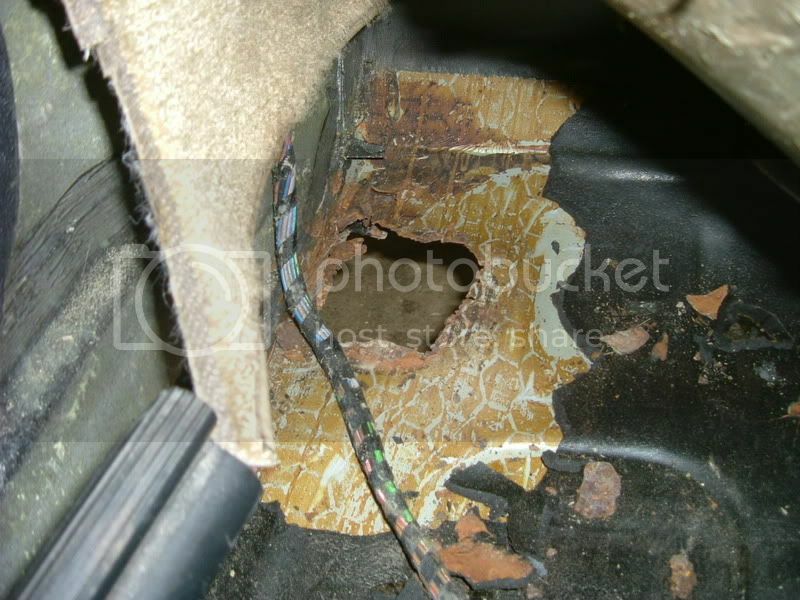 I have welded very much of the floor now, but I guess that's the price to pay for having a cool car . rolfi wrote: About the rust, I would consider it pretty normal. 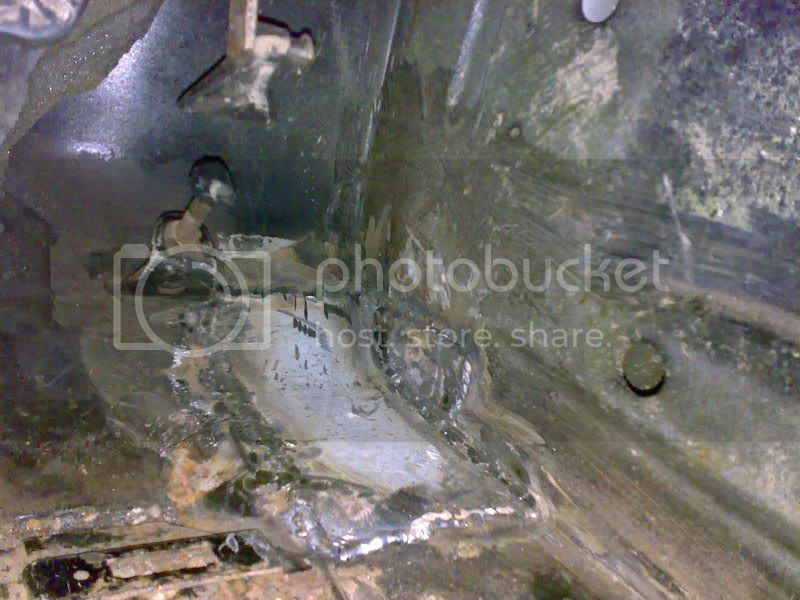 I have welded very much of the floor now, but I guess that's the price to pay for having a cool car . Too true ! Practical cars tend to be well, uncool . 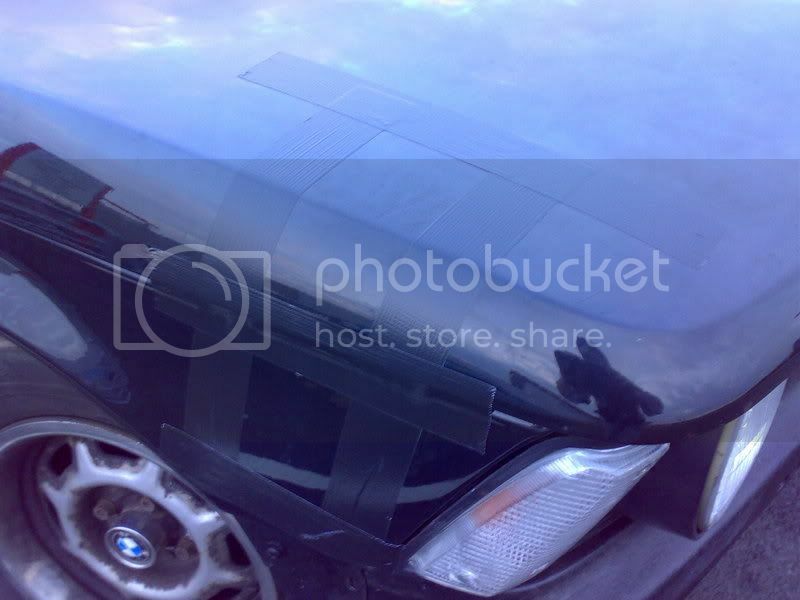 Because the bonnet catch failed at 70mph down the A14! Still a lot to do and some crust to cut out and waiting on some 15" BBSs. But it is on the road and is a hoot.